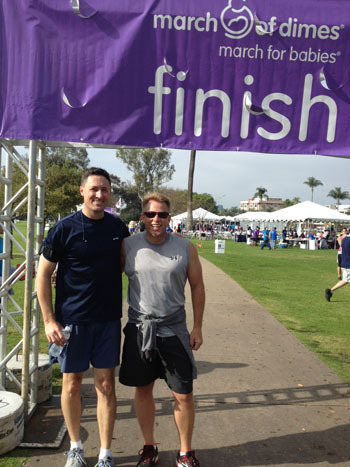 On Saturday April 27, the Lars Remodeling and Design team ran for a good cause, in support of March of Dimes March for Babies. March of Dimes mission is to improve the health of babies by preventing birth defects, premature birth and infant mortality. With the support of friends and business associates, our team was able to raise $1,050. Thank you to all who supported us in this great cause! Our team was organized by interior designer Chih Wang and our director of production Bryan Loorya and president Jason Larson joined in on the run. On behalf of the entire Lars Remodeling & Design team, thank you all again for supporting such a great cause!